Around and Around is a 1958 rock song written and first recorded by Chuck Berry. It originally appeared under the name "Around & Around" as the B-side to the single "Johnny B. Goode". 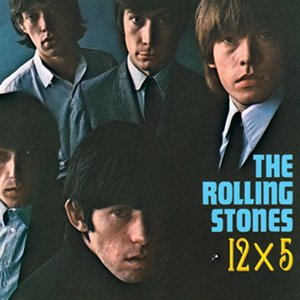 The Rolling Stones covered the song on their EP, Five by Five and second US album 12 X 5 in 1964. In October 1964, they performed the song as part of their first appearance on The Ed Sullivan Show. In 1964 the Stones opened their famed TAMI Show with the song. It was also included on the 1977 live album Love You Live, as part of the El Mocambo club gig in Toronto.